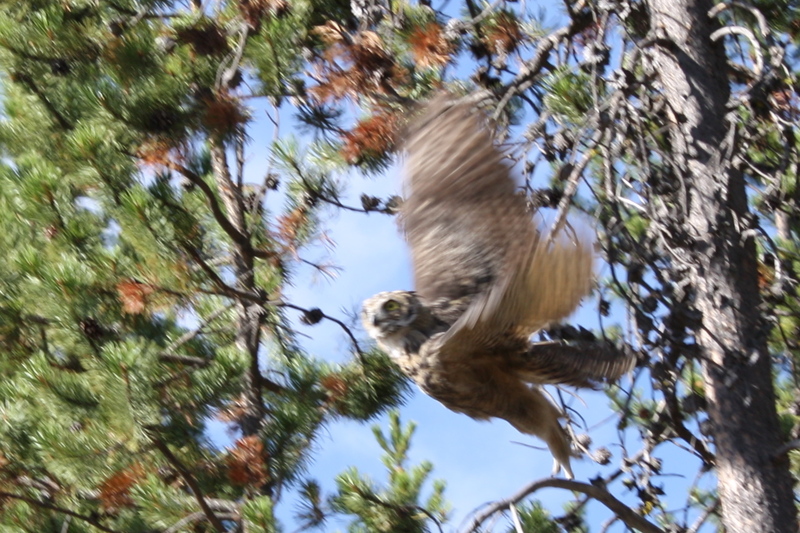 [Naturalist Notebook] Daytime Owl Surprise! 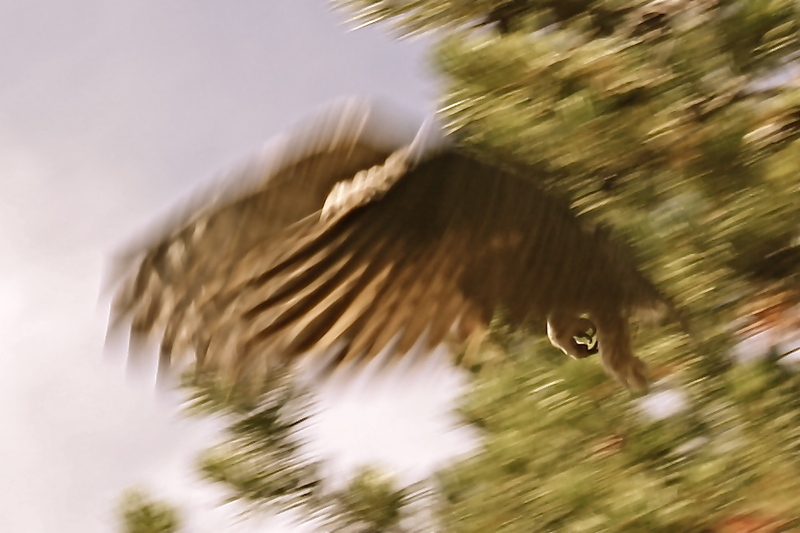 Owls are typically nocturnal, but it’s not uncommon to see them during the day. 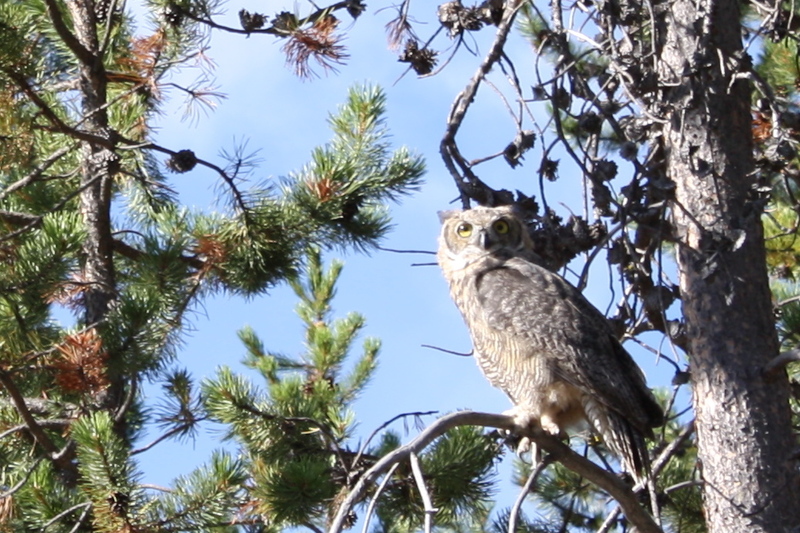 This Great-Horned was sitting with what we thought was a juvenile, but it flew off before I got a good look at it. This looks like a nice big female. Unfortunately, I didn’t have my zoom with me, so they’re a little blurry, but still fun, hey? :) Look at those big yellow eyes and amazing feathered feet! 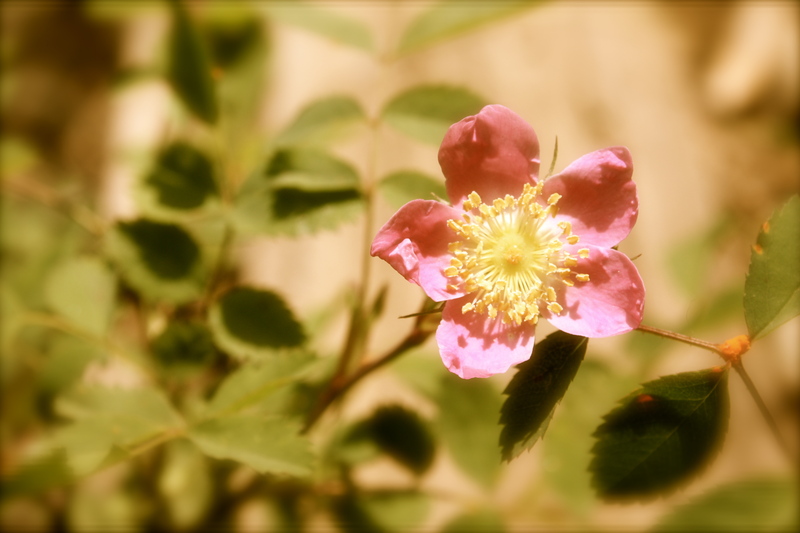 Many people don’t realize that there are wild, native rose species, and that some have a scent that rivals any fancy-pants rose bred by a hybridizer. The catch, it seems, is that hybridized roses have intricate and extravagant blooms. David Austin, an English-born hybridizer, helped to revolutionize the rose world by breeding the flowers to have both gorgeous blooms and intoxicating scent. It’s that time of the week again! (The time where you’re forcibly exposed to my amateur photography skills, that is.) This one is from about a week or so ago of a freshly hatched Barn Swallow. You can see the baby’s eyes are still unopened, and he’s mostly naked save for that stellar downy mohawk. Also, that awesome nest he’s in is made in a special way. 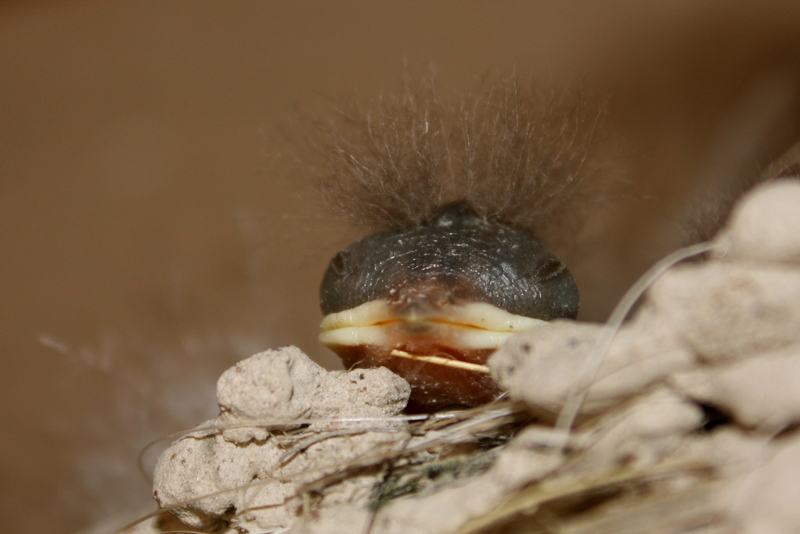 Mom and dad collect mud pellets in their beaks and essentially glue the nest together on a porous surface. They incorporate things like horse hair and larger birds’ feathers and end up with a beautiful little mud bowl. I suffer, as one could guess, from the latter. I like to blame it on the fact that I enjoy books with lots of pictures (which take up more space and make for larger books), but the truth is that books are knowledge – when you want to learn something, you read a book. (Or use Wiki, but you get my point.) Books allow people to transcend boundaries, and there’s something unbelievably gratifying about carrying a ratty old tome around with you, turning the bookstore-scented pages as you absorb word after word. Sure, a Kindle would be convenient, but I’m positive it wouldn’t give me the feeling that I’m spending time with a friend I don’t get to see as often as I’d like – which is how a book makes me feel. So, to honor my book addiction, I’d like to review books for you. The first in this series is one that I admittedly spent more time reading than I meant to, but thoroughly enjoyed. For example, in the chapter on our sense of smell (my personal favorite), Ackerman reports that many of the first perfumes developed by humans were actually derived from animal parts: ambergris from sperm whales, castoreum from beavers, genital secretions of the civet, and musk, a secretion from the gut of an East Asian deer. Why did we lust after such bold scents? Ackerman says it’s because these chemicals’ molecules are of similar shape to human hormones and affect us the way human pheromones might. In essence, these four animal secretions are similar to our own steroids, and we therefore respond to them with arousal. Thus anyone wearing the bum juice of a beaver becomes instantly more attractive, even if the smell isn’t exactly floral. In the chapter on touch, Ackerman tells us that in a study performed in Oxford, Mississippi, waitresses lightly and unobtrusively touched their customers on the hand or shoulder. The diners that were touched didn’t necessarily rate the food or the experience any better than untouched diners, but consistently tipped the waitresses more money. If you’re interested in learning more about why humans behave the way we do, put this book on your To-Read list immediately. We tend to think of ourselves as thoughtful and emotional creatures, but our experiences are completely informed by our senses; some of these we are aware of, and others we don’t even realize we have. (When was the last time you remember smelling testosterone? Right, but you did smell it.) Ackerman is a sense-driven person and so often her writing reads like a poem written in an opiate stupor, but if you too are a sensual person, than you’ll love this book! Go ahead. Say it out loud. 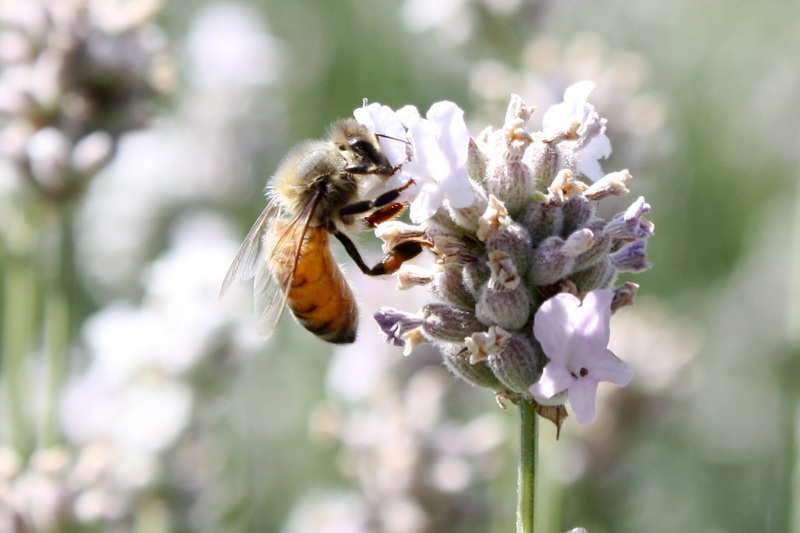 This week I wrote about getting to harvest my own lavender and wanted to share my favorite photo from the day. 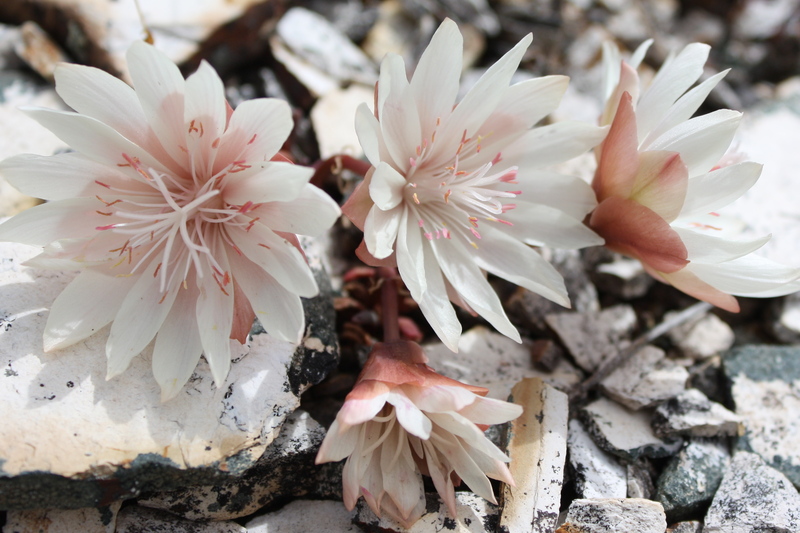 I don’t know if anyone else has had this experience, but bees are seriously camera shy – they were buzzing around so fast I only managed one or two good, clear shots of them on the flowers. If any of you are like me, you probably don’t want to know the answer to this question. Based on the adorable duck graphic below, I’m guessing the people at National Geographic knew they’d be dealing with people like me, and so they made the quiz graphically attractive with cutesy cartoons. They win.